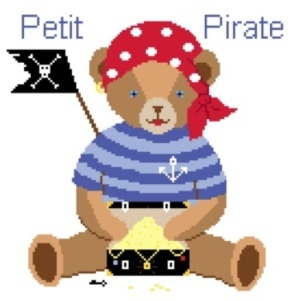 A complete Teddy Bear Collection to cross-stitch! Fond of Teddy Bears? 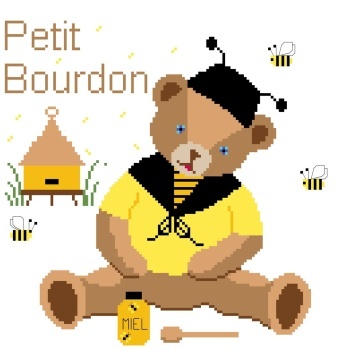 Looking for a cute Teddy Bear pattern to cross-stitch on a cushion or a bag? 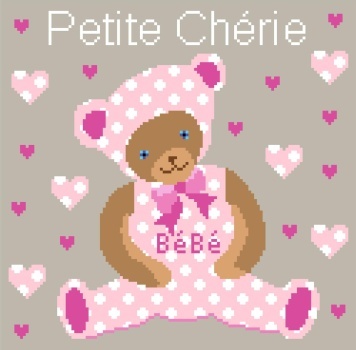 Just take a look at our new Teddy Bear Collection by the French cross-stitch designer Passion Bonheur. Read more: A complete Teddy Bear Collection to cross-stitch! 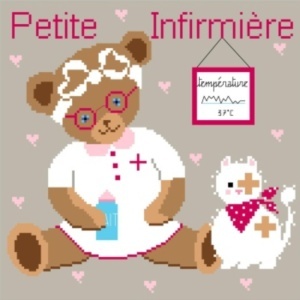 A free cross-stitch chart by Au Chat qui Dort! Good news for the beginning of the year: we have several free cross-stitch charts by the designer Au Chat Qui Dort that we will be able to release month after month. We begin by "Winter Colours", a charming bonnet, a scarf and a pair of gloves: you're all set to match the wheather! The text says in French "Winter Colours" and you can easily adapt it. Just click on the link below to open the pdf file in a new window and then save it on your computer (it is the right size to be printed easily). Have fun! 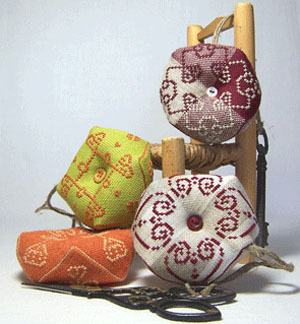 Aida made in linen and other fabrics to stitch your favourite patterns! From now on, you can also purchase the recommended fabric for the designs you've chosen. We are well aware that you can easily find good fabrics at your local stockist or on various online shops and even that some of you have their own stock at home. But it seems more difficult to get one's hand on some specific shades or even on Aida made in linen. So we decided to help you by stocking a small range of fabrics that we think you may not so easily find. Read more: Aida made in linen and other fabrics to stitch your favourite patterns! 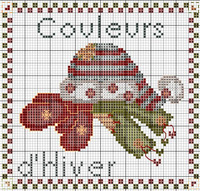 With lively colours and almost naive patterns that sometimes remind childhood, Passion Bonheur designs talk about happiness and the simple pleasure of stitching. 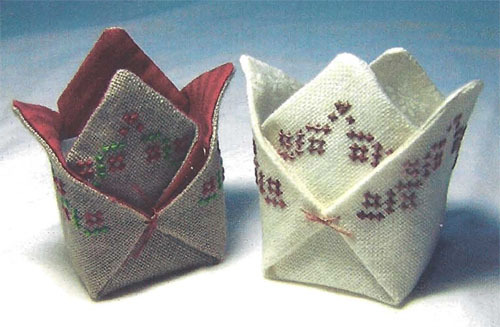 More and more stitchers are becoming familiar with Biscornu, these funny pincushions that have become so popular over the years. 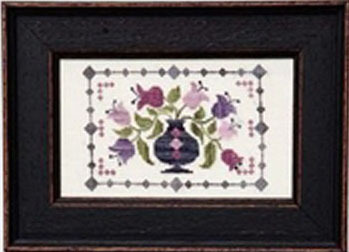 One can now find many lovely cross-stitch or blackwork patterns especially designed to fit its quirky shape. Maybe you've already had the opportunity to make one, maybe you'd like to or, on the contrary, you may have never heard of it till now. Interested in knowing where, who, why and how it all began? Here is the little story behind the famous name. 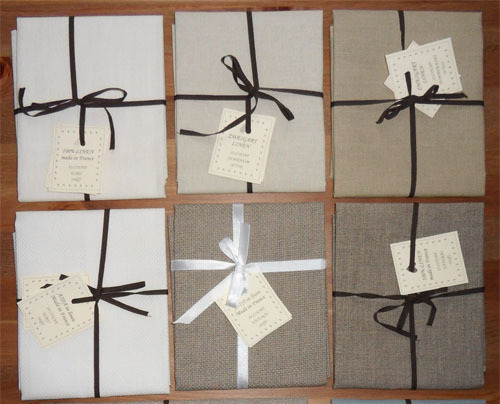 Stitcher or cross-stitcher: find the perfect Christmas gift! Less than four weeks to go to Christmas! It is high time that we filled our gifts' list with full of original ideas and pretty items: not only the kind that we know will please our family and friends but also the ones that we would love to receive (or to add to our permament "wish list"!). 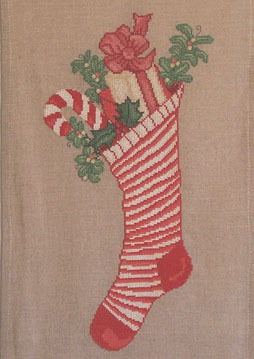 Read more: Stitcher or cross-stitcher: find the perfect Christmas gift! Thanks to Linda, the designer of Malin Maline, we get early presents this year as she's pleasantly surprised all her stitchers fans with not less than 4 new inspiring designs for Christmas. 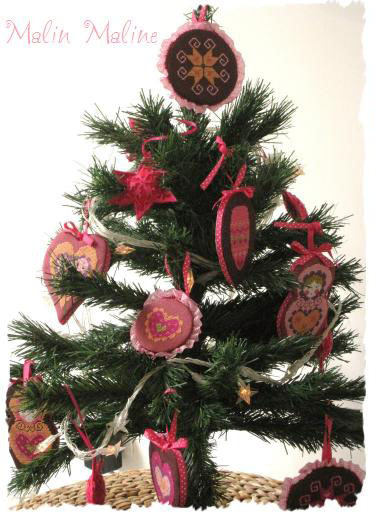 Here at SoCreaStitch we can't decide yet which one we prefer but we are definitely tempted by her lovely Russian baubles! Let's stitch the sun to forget the fog and the rain! It is not because November is usually a dull month that we should forget how much the automnal sun can be pleasant! 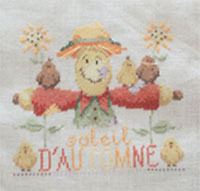 With her new cross-stitch pattern "Soleil d'Automne" the designer Les Créations de Chrystelle offers us a great opportunity to cheer up and think of sunnier days. And it is only one pattern among the many gorgeous designs that we recently added online! Read more: Let's stitch the sun to forget the fog and the rain! With a Thread Bin of course, not any but a lovely and stylish one! Christine, the designer of Au Chat qui Dort came up one day with an ingenious and easy way to make one. For the first time, SoCreaStitch will exhibit at The Knitting and Stitching Show at Alexandra Palace, London (7-10 October 2010, Great Hall, stand n° F33) and we're really looking forward to seeing you there! A special event always means special offers among which an opportunity to get any of Madame La Fée designs as a complete kit. Pre-order now you favourite one! This week in France youngsters are on their way back to school. Learning of course, but also playing with their friends and doing some sport. There are plenty of cross-stitch patterns in our "Kids and Teens" section to enjoy during this special time of the year! Read more: C'est la rentrée ! 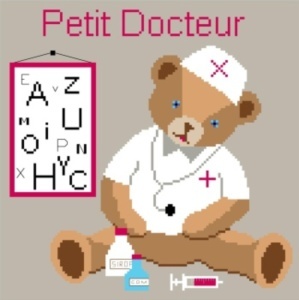 Two new French cross stitch designers on SoCreaStitch! 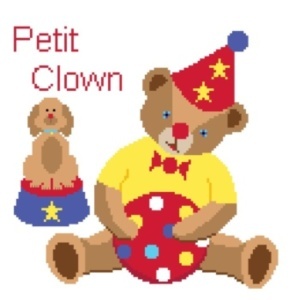 That simply means even more funny and cute cross stitch patterns for you to enjoy ! 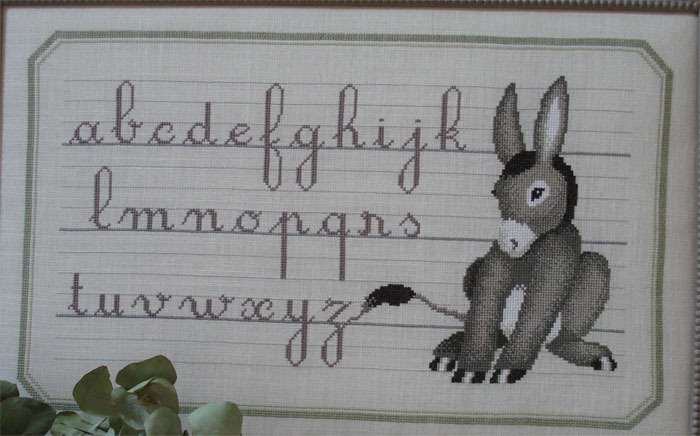 Read more: Two new French cross stitch designers on SoCreaStitch! 242! That is the number of counted cross-stitch designs you can enjoy on SoCreaStitch.co.uk at the end of June. And more are still to come! Your new online boutique is open! June the month of weddings?